A mystery team of unknown players shocked everyone in Sunday’s online 2K. The Call of Duty community was stunned when a mysterious team of unknown players won yesterday’s North American 2K tournament. The team, named Billy has no thumbs, featured a lineup including “MopeyTugboat,” “GSTORY210,” “Goreeyy,” and “JynXx32,” and took home the gold late last night—but this became less surprising when it was discovered that the team included several well-known professional players using alternate aliases. 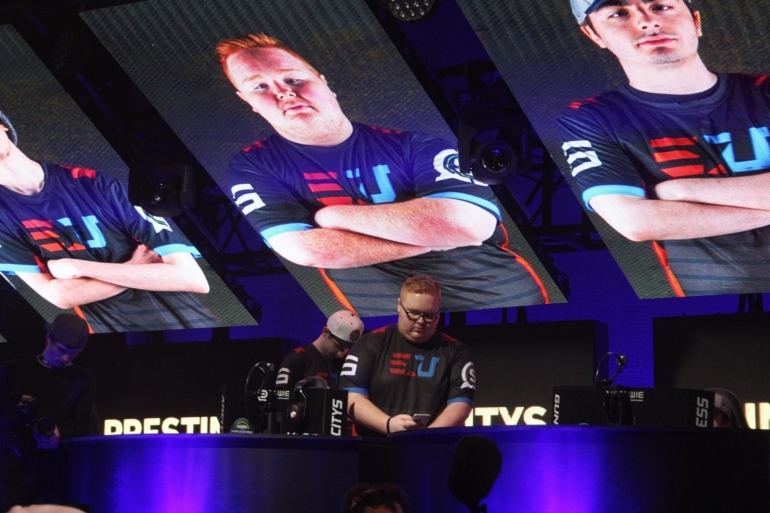 James “Clayster” Eubanks joined up with eUnited players Justin “SiLLY” Fargo-Palmer, Alec “Arcitys” Sanderson, and Preston “Prestinni” Sanderson for this online tournament. Making new GameBattles and PlayStation 4 accounts, these professionals had the community tirelessly trying to determine who the team was throughout Sunday’s tournament. Clayster and eUnited took down several top teams en route to their championship, including wins over Enigma6 and Evil Geniuses. Billy has no thumbs swept Enigma6’s new roster in the semifinals to reach the grand finals, where EG was waiting with their revamped lineup featuring Christopher “Parasite” Duarte. Billy has no thumbs once again swept their opposition, defeating Evil Geniuses 3-0 to secure first place in the final 2K tournament prior to the $200,000 Call of Duty World League Anaheim Open next week. Clayster and crew earned $2,000 as a team, as well as 2,000 pro points each—even though the pro points aren’t exactly necessary for these players, since they’ve already qualified for the last three tournaments of the Infinite Warfare season. The most interesting development with Billy has no thumbs in this 2K is that Peirce “Gunless” Hillman still isn’t playing with eUnited after he had a contractual dispute with the organization earlier this weekend. This caused many Call of Duty fans and players to speculate that Clayster could be involved in a trade for Gunless when people learned that FaZe Clan’s captain was playing with eUnited in this tournament. While it appears that Clayster was just filling in for eUnited during this 2K, the Call of Duty community will get the answer it desires with today’s roster lock for the CWL Anaheim Open on June 16.